Allied forces landed in Gallipoli last April in an attempt to clear a route through the Straits for a naval assault on Constantinople. The attack failed, with Allied troops finding themselves confined to tiny enclaves. An attempt to renew the offensive in August was another failure. After that the Allies decided to evacuate from Gallipoli. Troops were shipped from the northern enclaves of Anzac Cove and Suvla Bay before Christmas. Now over two nights the last men have been taken from the southern enclave at Helles Point. The evacuation has proceeded without a hitch, for all that the Turks were watching for any sign of the men being withdrawn. Now as dawn breaks over the peninsula they rejoice to find that their enemies have gone. Cautiously occupying the British lines (perhaps losing some men to booby traps) they find a wealth of supplies that the invaders have left behind. The resolute defence of the Turks has won a great victory, but at terrible cost. In the whole campaign they have lost some 86,500 men killed. The losses of the Allies are smaller but still considerable. Some 20,000 British army soldiers have died in Gallipoli (of whom many are from India) and some 10,000 French. 8,700 Australians met their end in this doomed enterprise and some 2,700 New Zealanders. The campaign has ruined the reputation of its main architect, Britain’s Winston Churchill. A year ago he was a leading cabinet minister, now he is in the trenches commanding a battalion in France. On the Turkish side the campaign has transformed Colonel Mustafa Kemal into a national hero. Although the Turks were commanded by Germany’s Liman von Sanders, Kemal captured the Turkish imagination thanks to key interventions at the start of the battle and during the August offensive. Britain’s leaders have given up on the Gallipoli campaign. They have been quietly evacuating the troops from Anzac Cove and Suvla Bay over the last week. Soldiers have been taken away at night while those left behind make as much noise as possible to convince the Turks that the Allied positions are still being defended. And now the evacuation is complete. Overnight the last British, Australian and New Zealand soldiers silently made their way down to the beaches and boarded the boats that will take them away from Gallipoli. 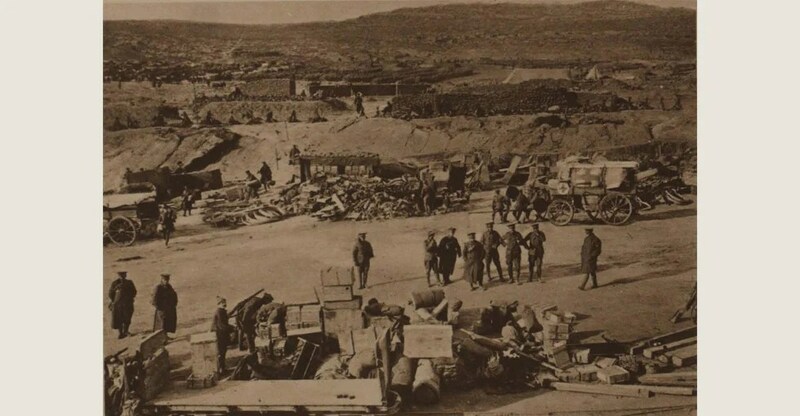 To prevent the Turks realising what is happening, the British and ANZAC troops rig up devices to fire guns automatically after a trench has been vacated. Only in the morning do the Turks discover that their enemies are gone. The Allies have not yet completely abandoned Gallipoli. The British position at Cape Helles on the peninsula’s southern tip remains. But it cannot be long before this enclave too is evacuated. The Allied campaign in Gallipoli has been a costly failure. Allied forces there have been confined to small enclaves, unable to knock out the gun batteries that would allow British warships to sail up to attack Constantinople. An attempt to break the deadlock in August with a renewed offensive proved to be another pointless bloodbath. The Allied force at Gallipoli comprises British, Australian, New Zealand and French forces, but it is under British command. With no prospect of the campaign being pursued to a successful outcome, the British have decided to bring it to an end. The forces deployed there are to be evacuated, starting with the mainly Australian and New Zealand forces at Anzac Cove and Suvla Bay. Their evacuation begins today. Evacuation involves considerable dangers. If the Turks realise that their enemies are withdrawing they could attack and butcher the Allies as they try to board ships. To fool the Turks, the evacuation is conducted in conditions of the utmost secrecy. 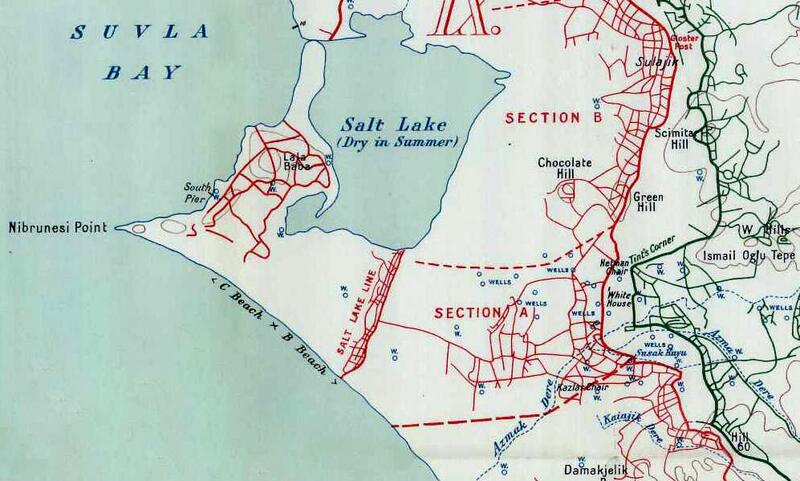 Soldiers are to be withdrawn from the line at night, with a skeleton force left to deter Turkish attacks. The first men leave Gallipoli today, but the full evacuation of Suvla Bay and Anzac Cove will take over a week. If the Turks realise what is happening in that time then the result will be a terrible disaster. Lord Kitchener, Britain’s war minister, is in Gallipoli. He is visiting Allied positions there to see if there is any prospect of the campaign being turned around and proceeded to a victorious outcome. General Charles Monro, the new Allied commander in Gallipoli, has already reported that there is no realistic chance of Allied forces breaking out of their enclaves and forcing open the Straits, still less effecting an overland march to Constantinople. Now that he is here in person Kitchener can see for himself how easy it is for the Turks to keep the Allies bottled up. It is easy for Monro to persuade him that the only thing to be done in Gallipoli is prepare the Allied forces for evacuation. The main political architect of the Gallipoli operation was Britain’s Winston Churchill. At the time he was Britain’s naval minister but after the initial failures of the campaign he was demoted to the ceremonial position of Chancellor of the Duchy of Lancaster, a demand of the Conservatives as a price for their entry into the coalition government. Churchill remained a member of cabinet but found himself increasingly sidelined and denied an opportunity to assist in the direction of the war. He finds this intolerable and today he resigns from the cabinet. He retains his seat in the House of Commons but decides that he will go to France and serve there as an army officer. Like many Australians, James Martin volunteered to join the Australian army after the outbreak of the war. Martin is however unusual in his age. He was just over 14 years old when he enlisted in April 1915, claiming to be over 18 to recruiting officers who seem not to have been too zealous in their checking of enlistees’ ages. Martin was sent to Gallipoli where he wrote to his parents saying not to worry about him as “I am doing splendid over here”. But like many in the hot and fetid conditions of the Gallipoli trenches he became ill. Today he dies of typhoid fever aboard a hospital ship. He is buried at sea. Since the failure of the August Offensive, Allied success at Gallipoli has looked increasingly unlikely. There seems to be very little prospect of the Allies breaking out of their confined positions to clear access through the Straits for British warships. Meanwhile disease is cutting through the Allied troops, with the unsanitary conditions and baking heat seeing many men struck down with dysentery. General Hamilton, the Allied commander at Gallipoli, has called for more troops to be sent to him, so that he can try another offensive against the Turks. Political opinion back home has however turned against the Gallipoli campaign. Uncensored reports by journalists have slipped past Hamilton’s watchers. Combined with the casualty rolls of the past offensives these have convinced many of Britain’s leaders that the Gallipoli campaign is a shambles that needs to brought to halt before it needlessly claims more British lives. This morning Hamilton personally decodes a message from Lord Kitchener that arrived for him last night. He is being recalled to London to give a personal report to the Government on the situation in Gallipoli and to present his opinions on the possible evacuation of the Allied forces there. General Birdwood, the British commander of the Australians and New Zealanders, is to command until a permanent replacement is appointed. In Gallipoli the Turkish recapture of Chunuk Bair has effectively killed the Allies’ August Offensive. There is now no realistic prospect that the Allies can secure a victory in this campaign. However their commanders cannot quite bring themselves to accept this, hoping desperately that if they throw some more men at the enemy then maybe they will finally crack. So it is that today British troops from Suvla Bay attack from the Turkish position known as Scimitar Hill while Australian and New Zealand troops attack Hill 60 (not to be confused with the Hill 60 outside Ypres). The Allies are committing three divisions to the attacks, making this their largest single-day offensive thus far. Somewhat predictably, the attacks are a bloody failure. Any minor gains are mostly lost to Turkish counter-attacks. Both sides suffer terrible losses but the failure to break through means that for the Allies the losses are completely in vain. Of the 14,300 Allied troops who attacked Scimitar Hill today, some 5,300 are now casualties. A halt is called to attacks there. The Australians and New Zealanders attacking Hill 60 have also suffered greatly, but more attacks there are ordered for tomorrow, to maintain the offensive spirit of the Allied soldiers.